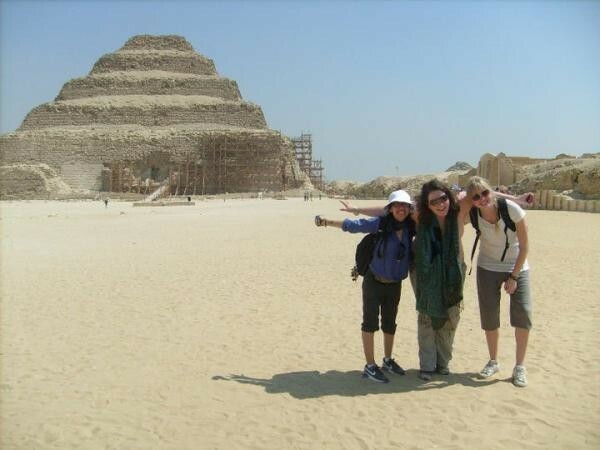 Cairo short break holiday for 5 days in Cairo Egypt, a fantastic weekend holiday to Cairo ancient and modern sites with great shopping tours through Cairo famous bazaars. Breakfast at your hotel in Cairo and then met by your personal guide who will accompany you to Giza Plateau to visit the Great Pyramids of Cheops, Chefren and Mykerinus - Famous Sphinx and Valley temple facing the great statue. Additional visit to the Solar Boat infront of Cheops Pyramid (extra ticket on spot) Lunch included during the tour and then proceed to Sakkara area to visit Sakkara Complex and first pyramid ever built (Djoser Pyramid). Move to Memphis; Old kingdom's capital and famous Necropolis. Overnight in Cairo. Breakfast at the hotel and then you will be escorted by your private guide to visit: Egyptian Museum, Treasures room for the child king Tutankhamen, alongside many other fascinating artifacts. Additional visit to the mummies room at the museum (extra ticket on spot) Lunch through out the tour at local restaurant, then moving to visit Saladin Citadel including Mohamed Ali Alabaster Mosque inside. Continue to Coptic Cairo to visit the Hanging Church and Ben Ezra Synagogue. Combining fascinating history with shopping in a lively Khan El Khalili Bazaar, this dates back to 1382. Back to hotel and overnight in Cairo. Today you have the choice of having a free day in Cairo or join our most valuable optional tour to the second capital of Egypt, Alexandria visiting one of the most important defensive strongholds, not only in Egypt, but also along the Mediterranean Sea coast, Qaitbay Citadel, built in the 15th century by Sultan Qaitbay on the spot where Alexandria's ancient lighthouse once stood. See the grand Montazah Palace, which combines Turkish and Florentine architectural styles, then move on to the new and much acclaimed Alexandria Library. Also visit the Roman cemetery cut out of the rock, the Catacombs. Return to your hotel in Cairo. Accommodation in Cairo for 4 nights including bed and breakfast.